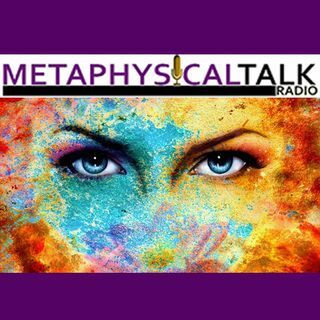 Metaphysical Talk Radio (MTR) is your one-stop listening station for insightful, and powerful metaphysical/paranormal talk programming 7 days a week. Our focus is providing quality talk programming that will encourage, inspire, and inform. We also wish to de-mystify the subject of Metaphysics, Spirituality, and the Paranormal by presenting the aforementioned in the most intelligent, concise, and comprehensive fashion. Our format consists of 18 hours of talk programming all day, and 6 ... See More hours of a unique mix of New Age, Classical, and meditative music all through the night. In addition, we also aim to provide a wide-range of metaphysical/paranormal talk programming which encompasses many different points of view. With that said, it is most important that we state that some of the views expressed on various shows, are those of the participants, and do not directly reflex those of MTR’s ownership and/or management. Most importantly, we here at MTR highly value our listeners and invite you to follow us in Twitter, and our Facebook pages. We also encourage your feed-back to give us a view on how we’re doing, and how to better serve you the listener via our “Contact” page. Okay, at first the music scared me- but then I actually listened to the words and now I kinda dig it. Hi. I am new to Spreaker. Is this live right now? Hi Dennis, No we don't have live DJ. We are streaming 24/7 and the show currently aired are pre-recorded by our hosts. We are planning to have live shows eventually. Have a wonderful Holiday Weekend and Thanks for Tuning in to our station.